Spinal disc injuries from auto accidents are frightening. You may worry about whether you will be able to move your arms and legs again, walk, keep your job, and take care of yourself. You may wonder if you will ever be pain-free again. You might have to wait days or weeks to find out if you will have an independent life and what the future holds for you. Direct trauma to the neck or back can cause spinal fractures that pinch nerves and puncture discs. Even without a fracture, direct trauma can damage nerves and muscles, leading to sciatica and herniated or bulging discs. Whiplash of the body during the accident can whip the spinal column in ways it was not designed to move. The forces of a crash can compress the discs between shifting vertebrae, which can cause disc injury and can, over time, lead to degenerative disc disease. Medical expenses: This includes costs from the ambulance, emergency room, hospital, doctors, surgery, physical therapy, and prescription drugs. Keep your receipts, insurance statements, and bills so we can use them as evidence. Lost wages: You can also receive compensation from the time you missed from work because of the wreck, surgery, treatments, hospitalization, therapy, and recuperation. We will get records from your employer to prove the amount of income you lost. Pain and suffering: These damages recognize the fact that you endured physical pain, emotional distress, and inconvenience because of the at-fault driver’s negligence. Long-term damages: This relates to ongoing repercussions of the injury, such as chronic pain, paralysis, future medical treatments, loss of function, decreased income potential, long-term care, and loss of enjoyment of life. Your doctor will perform a physical exam and ask you to sit, stand, and move your arms and legs into specific positions. Your doctor might test your reflexes, strength, sensation, and range of motion. If your doctor suspects a spinal injury, they will send you for more testing or to a specialist. 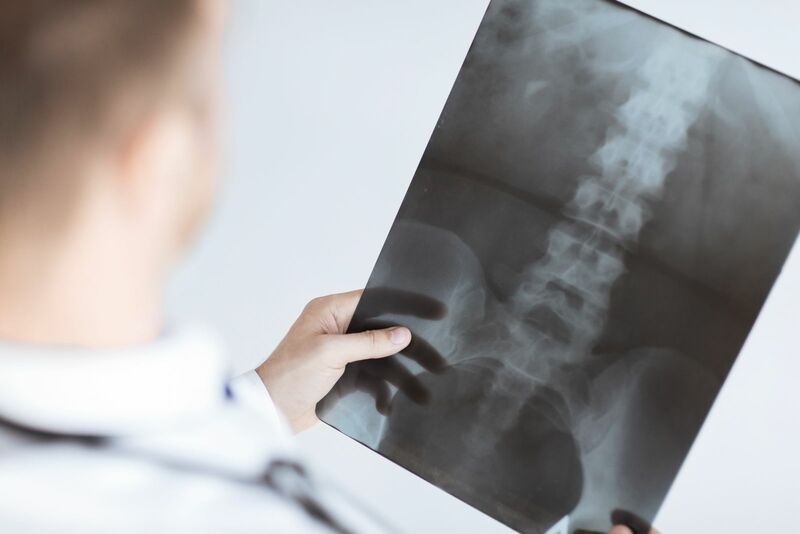 Depending on the type and severity of your injuries and how much your body healed, a spinal disc injury from an auto accident can change your life, both in the short-term and the long-term. These impacts can include physical pain, mental distress, depression, and anxiety about what the future will hold. People with spinal disc injuries can also lose time from work while they undergo physical therapy, surgeries, injections, and recuperation. These impacts of spinal disc injuries can involve ongoing medical treatments, chronic pain, and loss of enjoyment of life. You might not be able to work a full-time schedule, so it can be hard to support yourself and your family. Degenerative disc disease gets worse as you get older. Some spinal injuries cause paralysis or mobility issues. With severe injuries or complications, you might need assistance with daily living activities like personal care and housekeeping in the home or at a long-term care facility. If you have suffered a spinal disc injury from a car wreck that was someone else’s fault, the auto accident team at Max Meyers Law wants to help you. We will evaluate your collision and injuries and tell you if you might be eligible for compensation. We will not charge you for this service, and there is no obligation. We do not charge legal fees until you get a settlement or an award of damages. You can call us today at 425-399-7000. We will line up your free consultation and get you started on the path to the compensation you deserve.